Owner-builder Patrick Dowd and his wife Glenda built Paal’s largest house design, the Richmond, on the Twin Creeks estate, a private residential golf and country club at Luddenham, west of Sydney. “The finished home is better than we ever dreamed of and we are so happy and fortunate to enjoy it,” Patrick said. 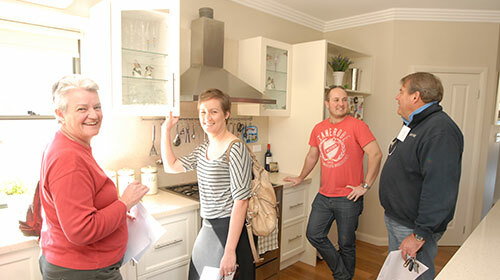 The Dowds were good enough to display their new home at an Open House held on 29 July. Visitors were impressed by the spaciousness of the house and the exceptional quality of the finishes. Patrick and Glenda fell in love with the Richmond in early 2009, but before they could start building, the Twin Creeks design committee had to approve their house plans. “We didn’t have to make any alterations to our plans to get their approval, apart from changing the exterior to a rendered finish brick-veneer construction,” he said. Patrick, who works fulltime as a fire fighter, completed the house mainly himself, proving that Paal’s building system works for the owner-builder. He had some help from his father in law, plus tradesmen for the roofing, bricklaying, plumbing and wiring. Rear view of Richmond with spacious alfresco. The Dowds customised their home by using cedar for the front window frames and extending the rear Al Fresco outdoor covered area. They made some internal changes as well, including selecting their own cornices and kitchen worktops. “It was simple to make these changes and Paal removed from the kit certain items we didn’t need,” Patrick said. “Paal’s estimates were accurate and ensured there were no surprises during the build. We actually came in on budget, which was fantastic. 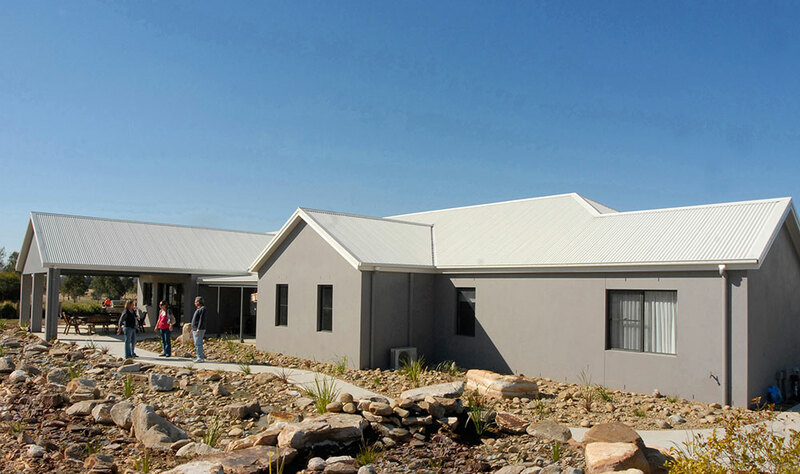 “We felt that the staff at Paal made us feel welcome and did their utmost to assist. Michael Christie, Paal’s consultant, was more than helpful in accommodating our ideas and John assisted us with any technical queries when they came up. “Paal has been the best company I have ever dealt with in terms of service and meeting my expectations. Having been in business myself, I know how difficult this is to achieve,” he said. After all their building work, Patrick, Glenda and their two daughters are now enjoying the luxury of their new home, with a spacious kitchen, four bedrooms all with ensuites, a billiard room and a guest room.